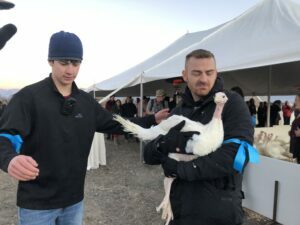 Holiday Survivors: 100 Turkeys Spared from Slaughter! The lucky ones. 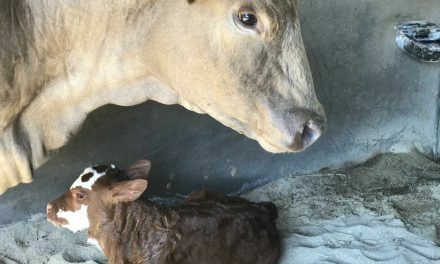 Spared from slaughter. If only we could save them all. 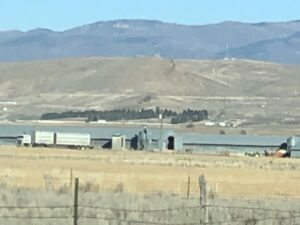 #JaneUnChained #LIVE at a massive factory farm in Utah that breeds turkeys! 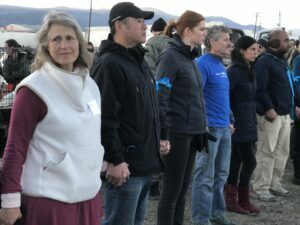 Six Direct Action Everywhere (DxE) activists and actor James Cromwell are leading a rescue of 100 turkeys who would otherwise be slaughtered for Thanksgiving as tens of millions of others are! Hundreds of activists are here from all around the world to witness this historical moment! Please share this video! Wayne and Paul the leaders of DxE talk to the owner of the slaughterhouse where the turkeys were spared. 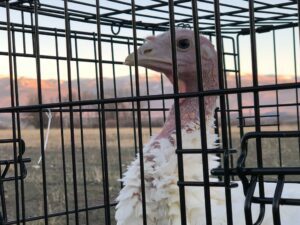 The four activists that bring out the first turkeys have risked their freedom to get to this point. 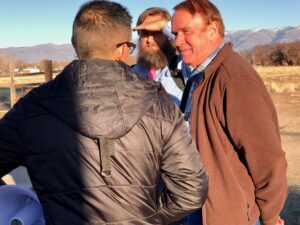 They were facing multiple felonies for breaking Ag-Gag laws, and showing what they describe as animal cruelty in the slaughterhouse. Thankfully they were able to reach plea deals and the charges will be dropped. 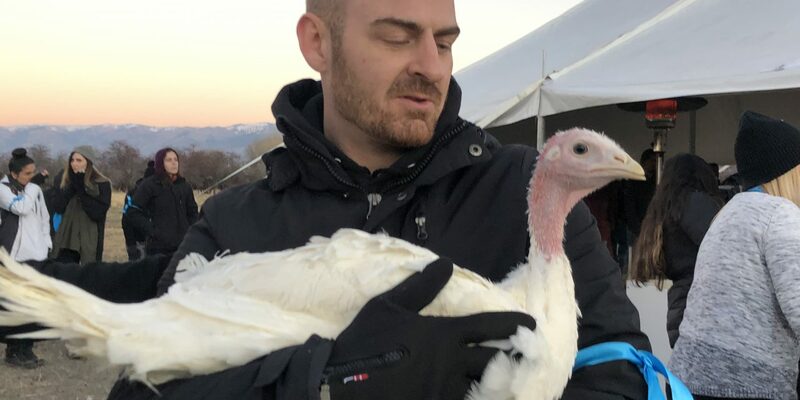 Miraculously, the same facility agreed to release 100 turkeys in the holiday spirit. If this isn’t a sign of change, we don’t know what is. Hopefully one day we will be able to end the slaughter of the other 47 million turkeys that are killed for Thanksgiving dinners yearly! Chase Avior carries a spared turkey to safety. “We don’t have to kill to celebrate and give thanks,” Jane explains. There are many different options besides eating these sweet sentient creatures or any animals or animal products. 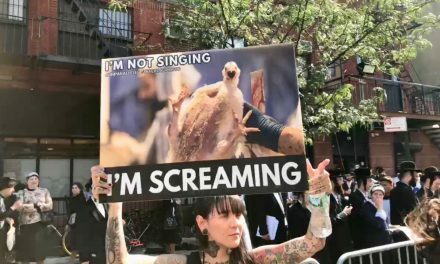 There are wonderful brands like Gardein, Tofurky, and so many others that offer amazing alternatives to animal products. Let animals live by leaving them off your plate. Choose compassion this Thanksgiving and celebrate ThanksLIVING instead! We can save these animals by decreasing demand for their deaths at the grocery store. Thank you to this farm for sparing the lives of these turkeys. You have set a precedent for peace for all of these creatures one day! Hundreds of activists came from around the world to be a part of this historical event! 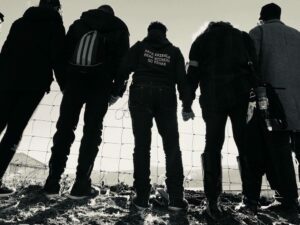 Visit the Direct Action Everywhere (DxE) website! 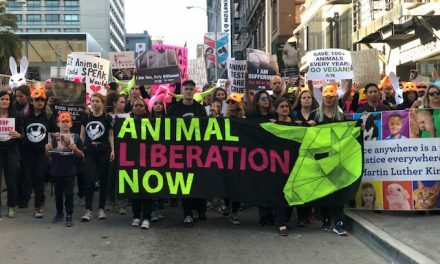 Any animal agriculture/meat company representatives are invited on any time to respond! Jane Velez-MItchell and the Dani Rukin reporting for JaneUnchained News Network. Photos courtesy of Jane Velez-MItchell and Dani Rukin. 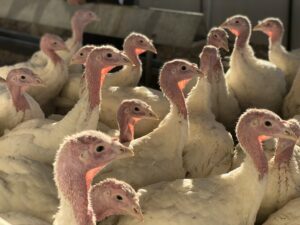 Turkey survivors await their transport to sanctuary. 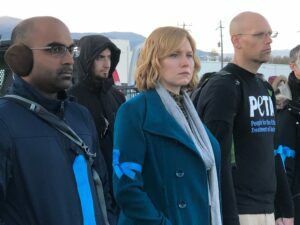 Amazing activist leaders, AJ Jivdaya, organizer of Chino Cow Save, Brittany Drake, organizer of DxE Los Angeles, and Matt Braun, the Outreach Coordinator of Peta in Los Angeles, were also in attendance! 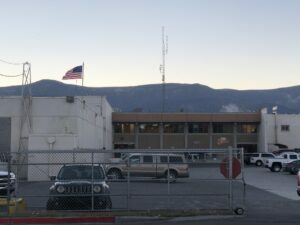 Maybe we can make a new American tradition starting outside of this facility that released these turkeys! 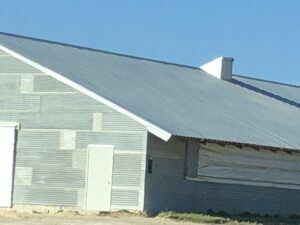 An example of the warehouses where turkeys like these are raised. There are no windows in facilities like these where turkeys like the ones saved today are raised. 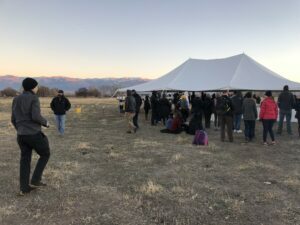 The tent where hundreds of activists gather to help transport these 100 survivors to safety! 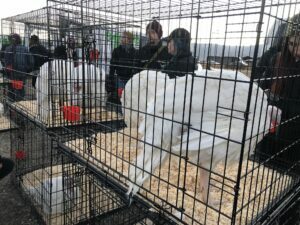 Activists bear witness to the turkeys that were not saved this day. Sometimes people forget that the turkey on the table had a face and feelings. They don’t want to die any more than we do. 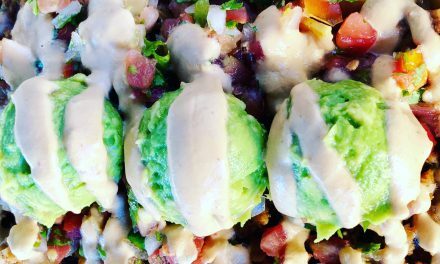 PreviousPotato Tacos for your Health! NextVegan Friendsgiving at Pollution Studios!